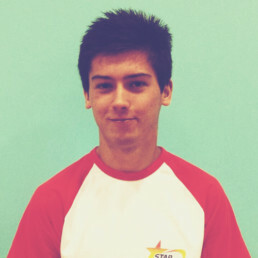 Harvey is the owner of Star Hotshots and a Programme Leader for PGCE Physical Education at Reading University. A former senior lecturer in Physical Education at the University of Gloucestershire, he has 10 years Physical Education teaching experience. 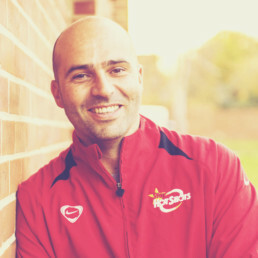 Has has a BA (Hons) QTS Physical Education, an MSc in Sports Psychology and PGCE in Physical Education Subject Leader at University of Reading. He is also the author of "Improving Teaching and Learning in Physical Education" and "101 Classroom Games". Footballer Callum is a trainee teacher currently studying a PGCE (PE) course at Reading University. He joined Star Hotshots with a National Diploma in Sports Science from Reading College and a BA Hons degree in Health and Physical Education from the University of Chichester. Once represented England U17s at basketball. Qualifications: Edexel BTEC Level 3 Extended in Sports Science, basketball referee level 1, basketball coach Level 1, FA Level 1, tennis leaders Level 1, X bike Level 2, and fitness leadership Level 2. 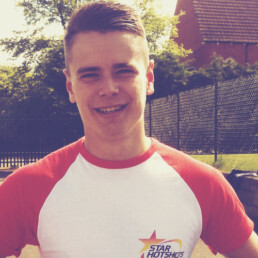 Another footballer – Dan plays for Wokingham & Emmbrook – and PGCE student at Reading University, Dan has a degree in BSC Sports Education from the University of Gloucester. Qualifications: Levels 1 and 2 in football, Level 1 in futsal and rugby, Autism in Sport & British Gymnastics Coaching for Secondary Teachers Award, Rugby Ready, Safeguarding in Education. Dan is currently a PE teacher at Maiden Erleigh, the same school he attended as a pupil. 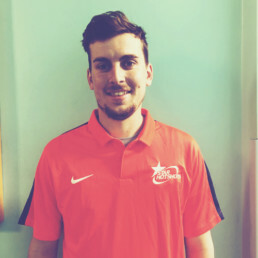 After graduating from Bournemouth University with a degree in Sports Development and Coaching Science, Dan has worked as a Head Coach for Star Hotshots since July 2015, and he is now one of our managers. 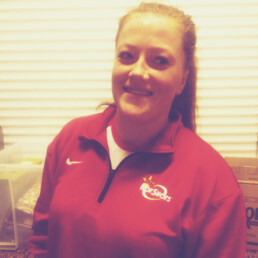 A former professional dancer with a BA (Hons) in Dance, Gemma has been a teacher of Dance at Outwood Academy Brumby, and has run her own dance academy, before joining the Hotshots team. Qualifications: PGCE, Outdoor Leader Training, Safeguarding & Protecting Children Qualification, RAD/ ISTD Syllabus. 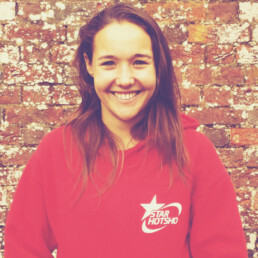 A PE Teacher at Bohunt Secondary, formerly of Chiltern Edge School, Lauren has a degree in Sport, Physical Education & Coaching Science, and a PGCE in Secondary Physical Education. 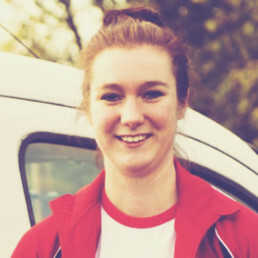 Qualifications: Level 2: netball coach, dodgeball coach, trampolining coach, and Swimming teacher. Level 1: handball coach, paediatric first aid. A graduate assistant at St Mary’s School, and boasting a BA (Hons) Theatre from Chichester University, Megan joined the Star Hotshots team in 2013. 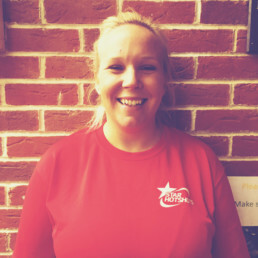 A netballer and PE teacher, at Maiden Erleigh, Sophie is a former children’s fitness class instructor with a BA (Hons) in Physical Education and Sport Pedagogy from Manchester Metropolitan, and a PGCE from the University of Reading. Qualifications: First Aid, hockey Level 1, gymnastics, trampolining, basketball, swimming, netball umpire. A PE teacher currently working at Maiden Erleigh, and a rugby player for Redingensians . Steve is a former Sir Williams Ramsey School Academy Trust teacher with a BSC in Sports Education and a PGCE from the University of Gloucestershire. QUALIFICATIONS: Level 2 rugby, Sports First Aid, Teaching Secondary School Athletics, Safeguarding & Protecting Children Qualification, first-aid trained. One of our longest-serving team members since joining the Star Hotshots team in 2009, Suzy arrived with a BA (Hons) Physical Education and Teaching (QTS) (Secondary). 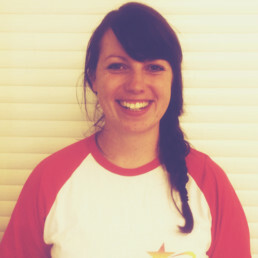 Now a PE Teacher at Barnsole Primary School, Suzy has worked as an area manager at camp. Qualifications: Safeguarding and child protection, Paediatric First Aid, Health & Safety Level 3, Teaching Athletics, FA Level 1. Director of Sport at St Edwards Prep School by day and a goalkeeper in his spare time, Nick is another of our most experienced team members; he's a regular manager at our St Piran's camp. 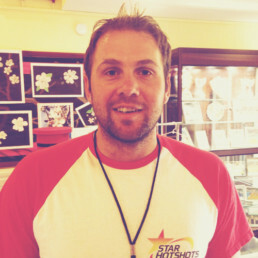 Nick has a degree in Sports Coaching and Development and has completed a PGCE. Qualifications: FA Football Level 1&2, Level 1 athletics, rugby Level 1&2, Tag Rugby, Higher Sports Leadership Award Level 3, Child Protection, Sports Leadership Tutoring Award, First Aid Qualified, Qualified Lifeguard. 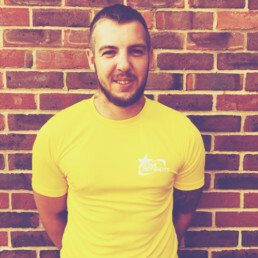 A regular manager at St Piran's, Gareth has worked as PE teacher at Little Heath and Holy Brook Special Schools and now works at St Gabriel’s School in Newbury. 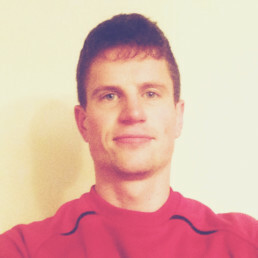 Gareth has a BA(Hons) in Physical Education and a PGCE in Secondary PE teaching. 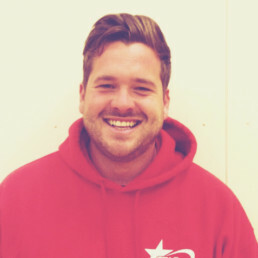 A key member of the St Piran's team, Jamie currently works as a PE teacher at Cutteslowe Primary School. Jamie has a BA (Hons) in Sport coaching. Qualifications: RFU Level 2 Coaching, ECB Level 2 Coaching, GNAS Archery Instructor, FA Level 1 Coaching, PGA Level 1 Coaching, Sports Leader UK Trainer, Paediatric First Aid, Introduction to Youth Work Qualification, Child Protection, Health and Safety Training, Disability in Sport Training. 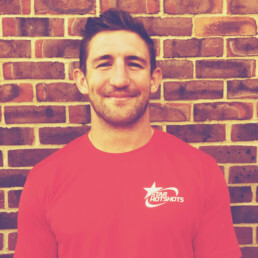 A PE Teacher at John Hampden Grammar School, Calum has a BSc (Hons) in Sports Science. He also has a PGCE from Reading University. Keen golfer and cricketer, he plays cricket for Datchet. 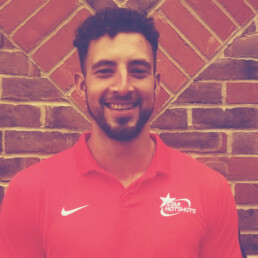 A PE Teacher at Chiltern Edge School, Shaun has a BA (Hons) in Sports Management & Coaching from Buckinghamshire New University, plus a PGCE from Reading University. Shaun coaches cricket at the weekend. 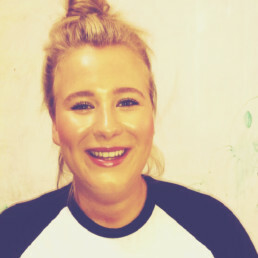 A PE Teacher and Charity Coordinator at Herschel Grammar School, Chloe has a BSC in Sport Coaching, a Masters in Education from Brunel and PGCE in Secondary PE. Chloe plays football for Barton Rovers Ladies. Qualifications: Level 1: Handball, Aerobics, Korfball, and Level 2: Trampolining. Emergency Sports First Aid, Safeguarding. 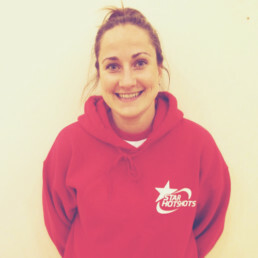 A PE teacher at Fernhill School, Gemma has a BSC (Hons) in Sports and Physical Education and a PGCE from Reading University. 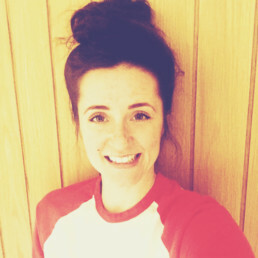 Jodie is currently studying a PGCE as a PE Teacher while working at Newlands Girls School.